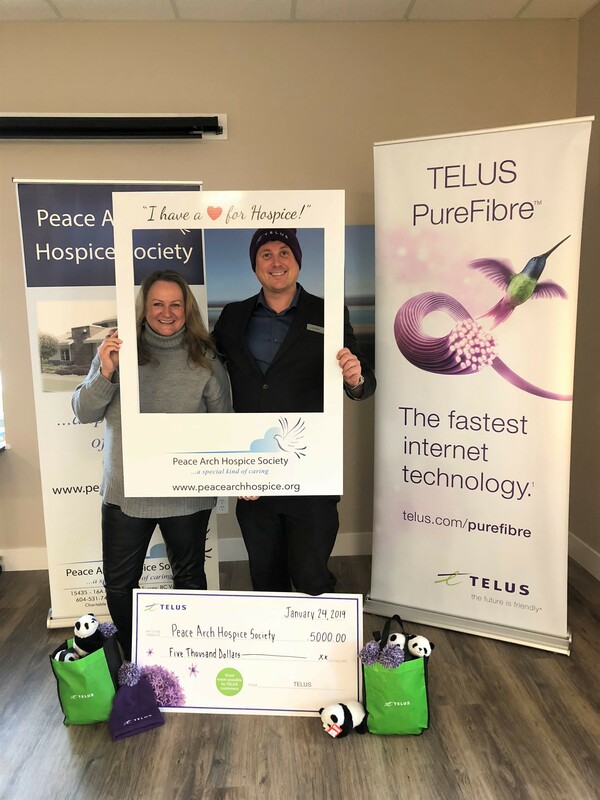 A big thank-you to Telus for running their #givewhereyoulive campaign with proceeds benefiting Peace Arch Hospice Society. We are incredibly grateful for their big hearts and generous gift. Our children’s camp participants will be the lucky recipients of the pandas and toques! Thank you Telus! 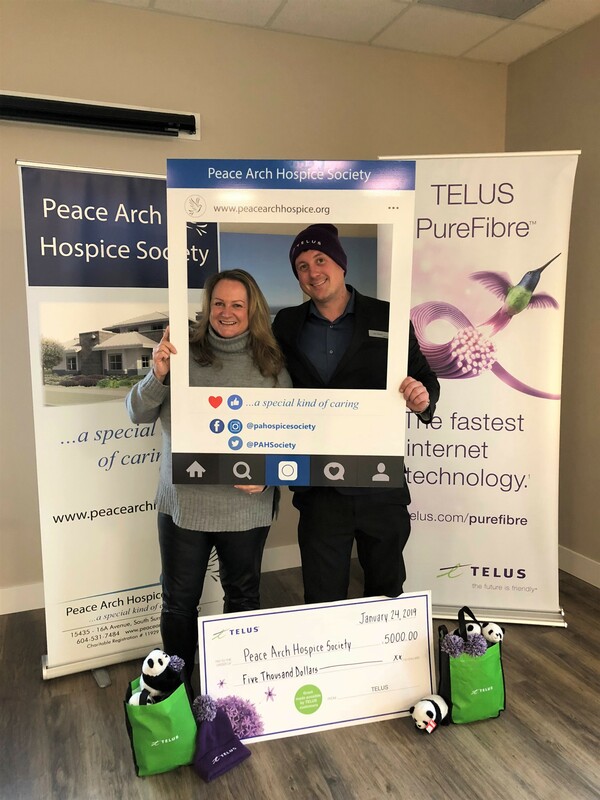 Beth Kish, Executive Director of PAHS, and Josh Weston of Telus. 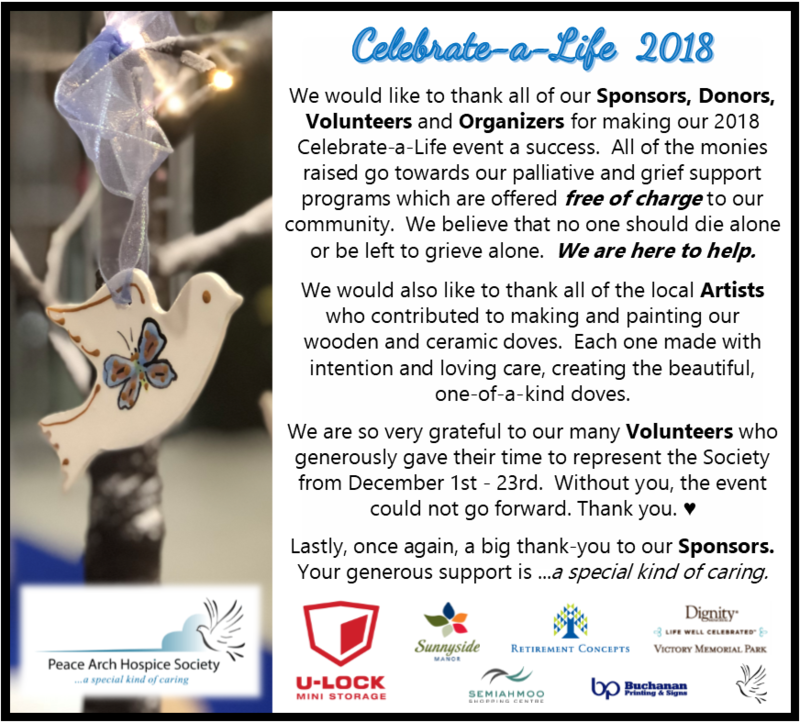 Thank you to everyone involved in our Celebrate-a-Life event. From our organizers to our artists to our volunteers and sponsors… we couldn’t do it without you. A very special thank you to our community members who came out to honour their loved one by hanging a dove on our tree. Your love inspires us.